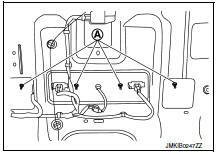 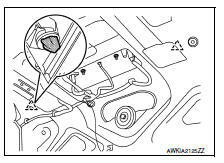 Disconnect the harness connector (A) from trunk lid opener request switch. 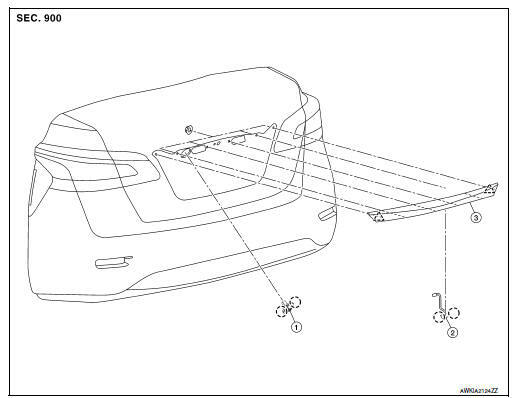 Release clips of license lamp finisher from inside of trunk lid, and then remove. 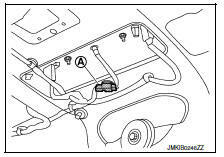 When installing license lamp finisher, check that clips are placed in body panel holes, then press them in.